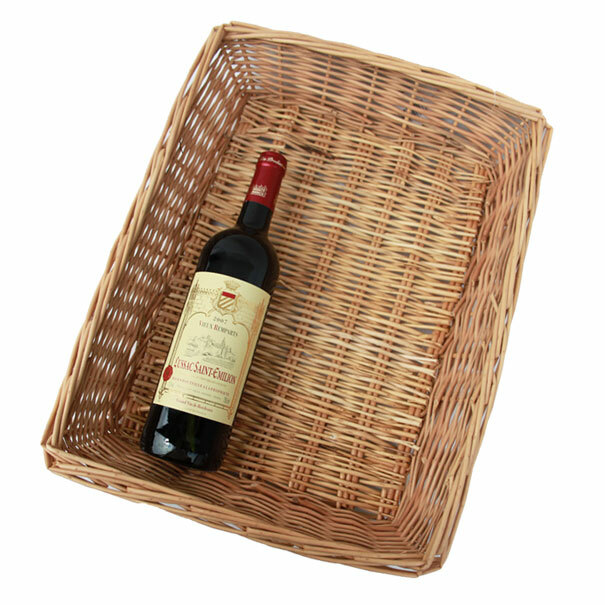 Steamed wicker packing tray measuring approximately 46x35x9cm high. 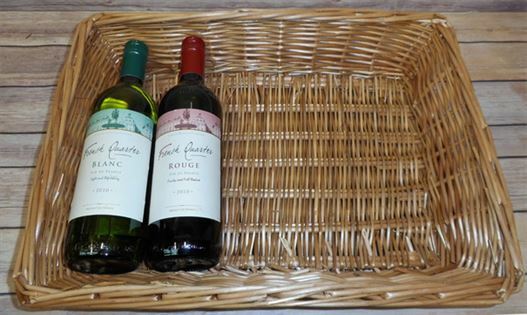 Great packing tray as it easily accommodates bottles of wine with gifts or food. Also useful for display.